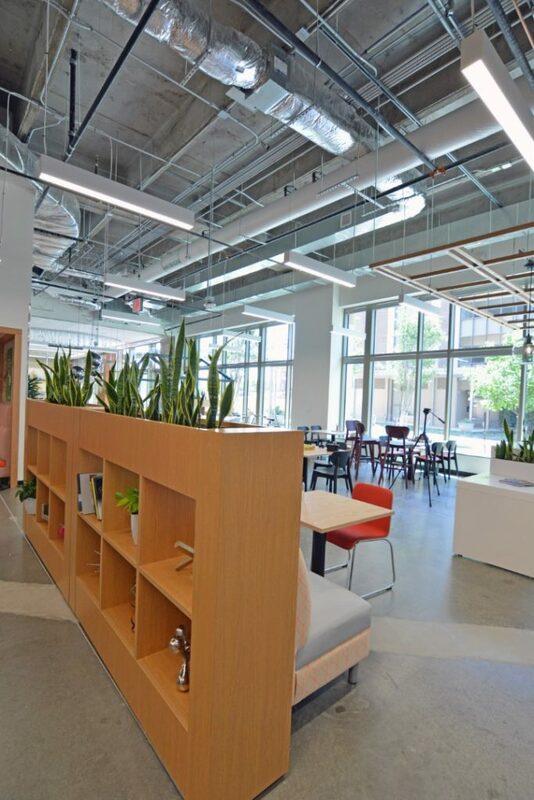 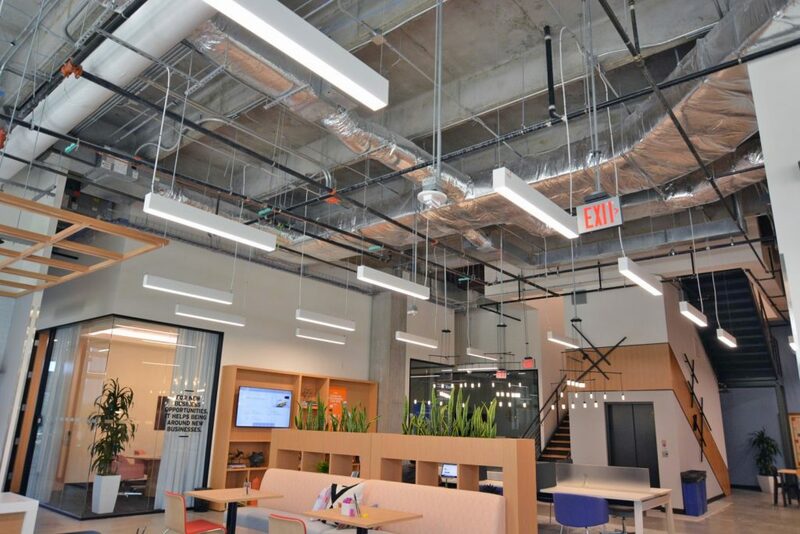 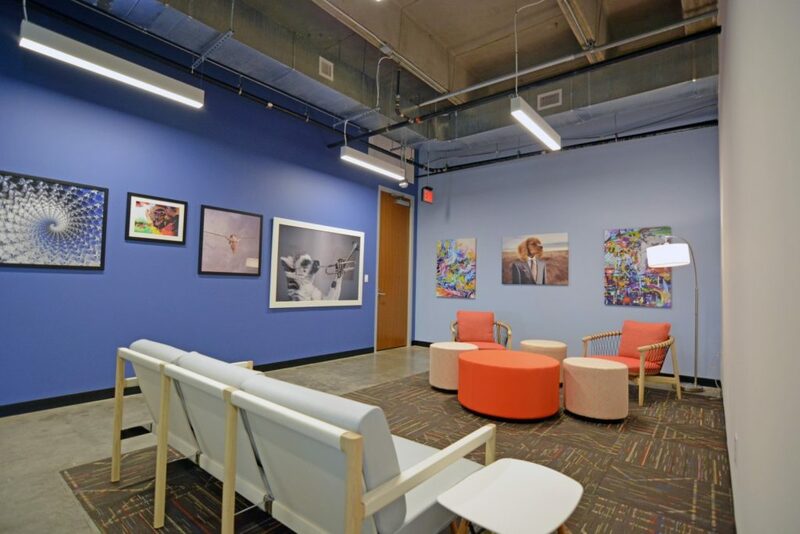 VERTEX General Contracting completed a 2-floor buildout for executive office suites and coworking office space for a repeat national client. 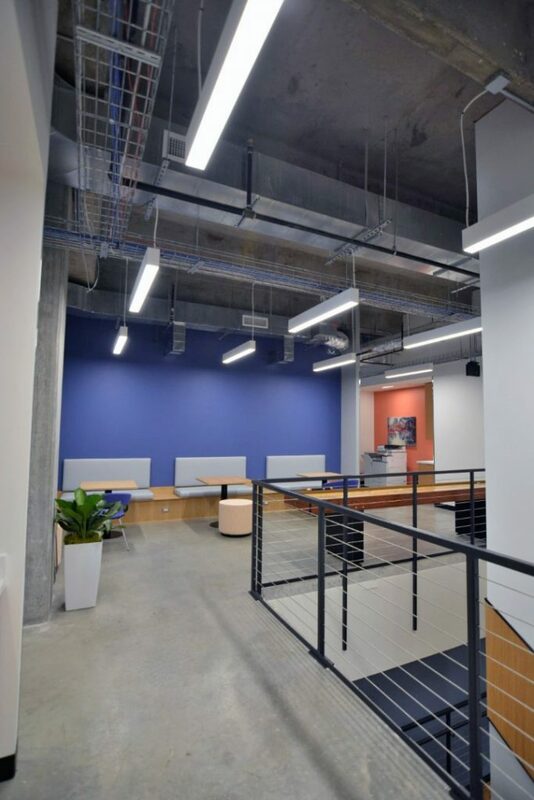 The 20,000 SF project required an opening in the slab between the 1st and 2nd floor of a class-A building to incorporate an internal stairwell and elevator shaft due to the height between floors. 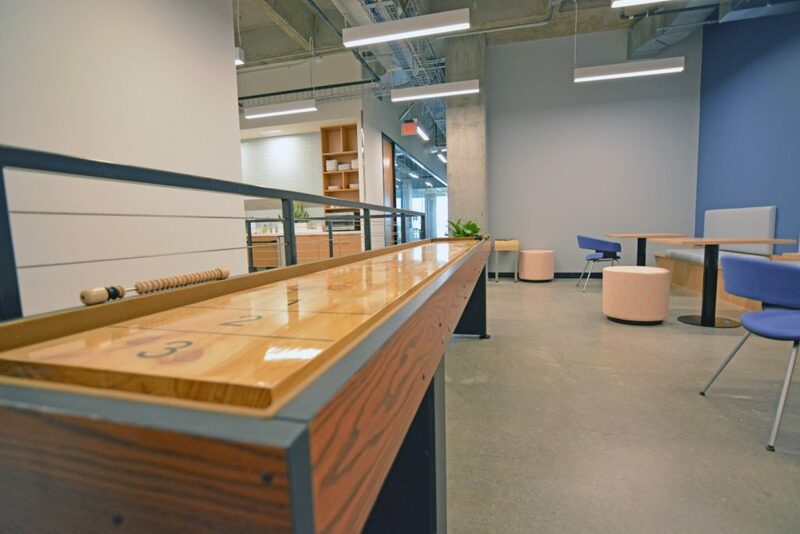 Other highlights include substantial millwork design, open ceilings, glass wall framing system, refresh bars, interactive conference rooms, and a new exterior courtyard. 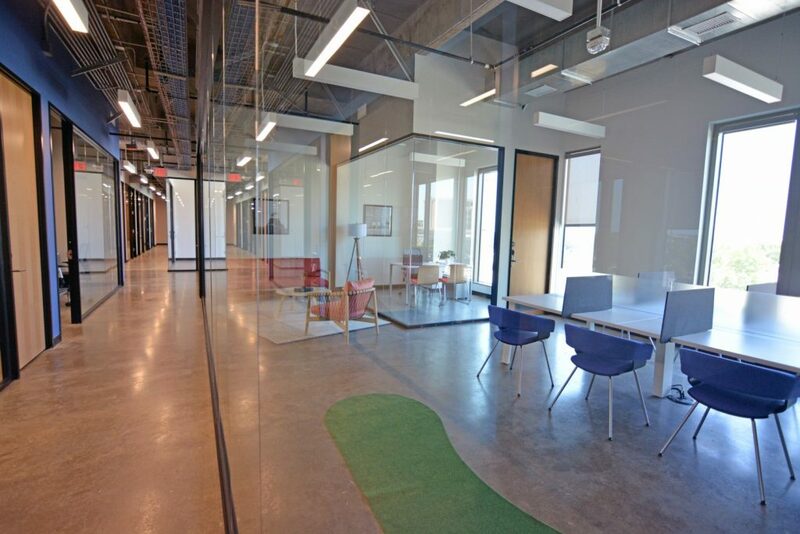 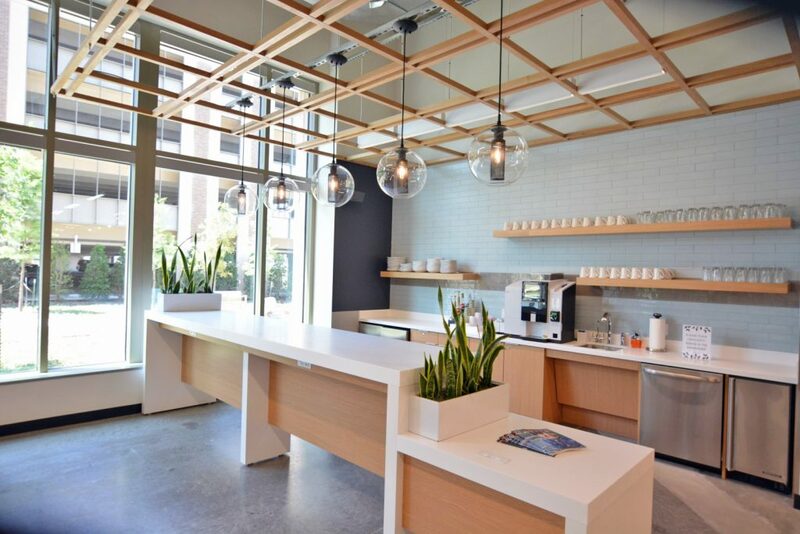 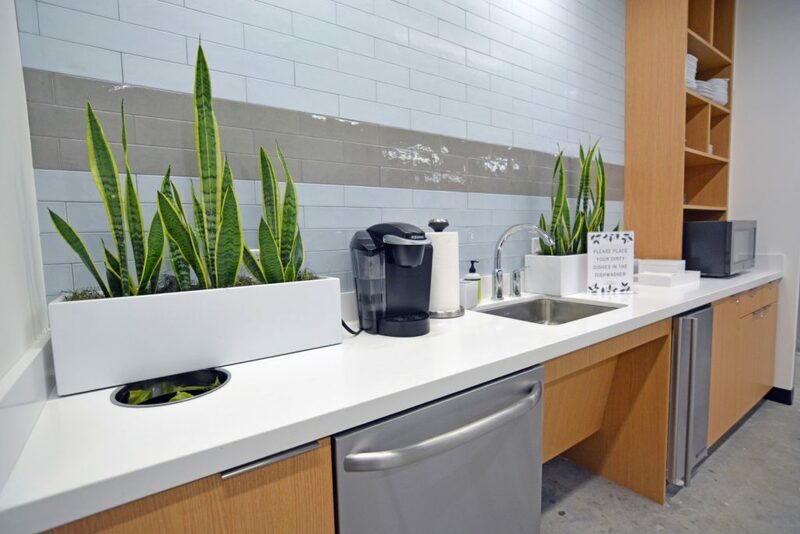 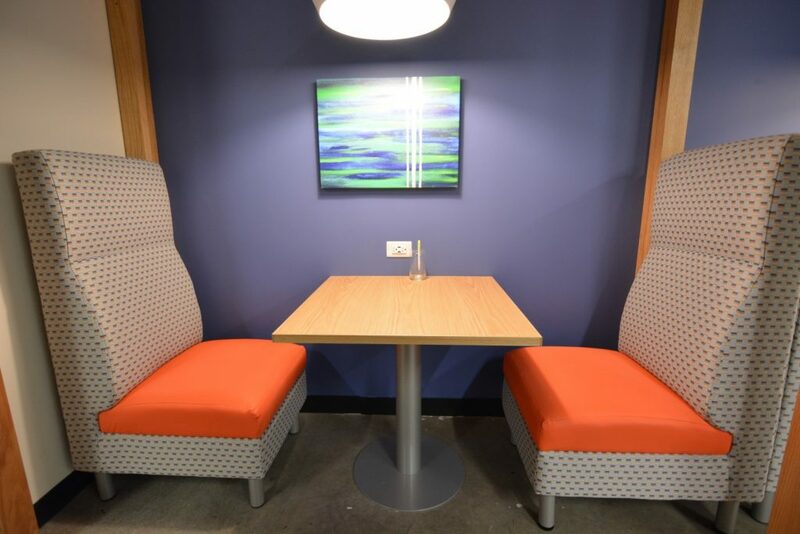 Sleek and modern finishes combined with striking colors provide tenants with work environment options designed to promote collaboration and inspiration. 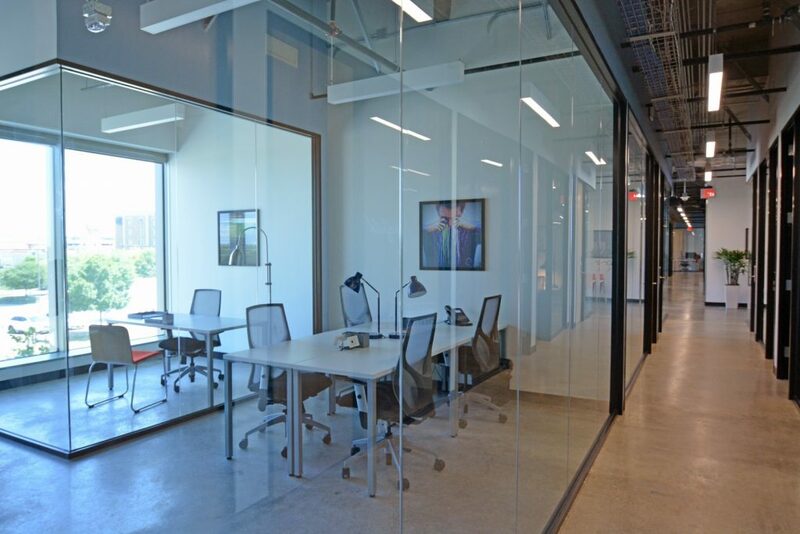 Glass interior walls optimize the natural light from the windows overlooking the building’s courtyard and surrounding recreation areas. 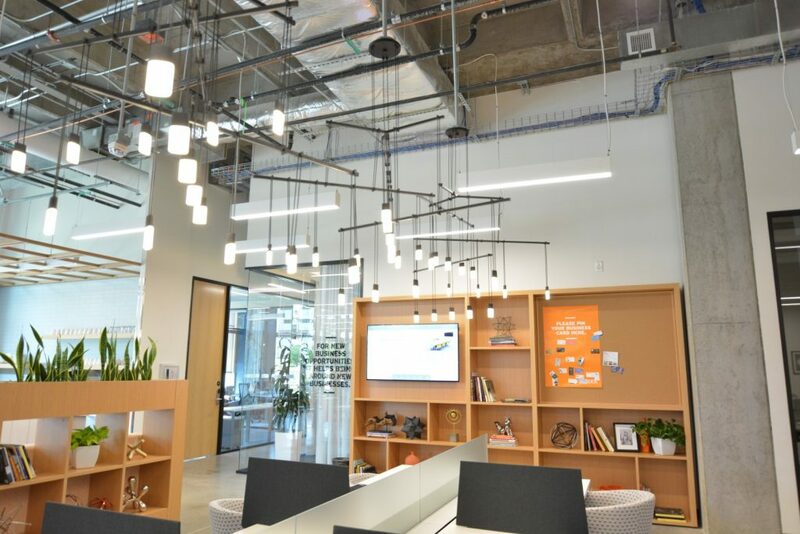 The project was completed on time and on budget.